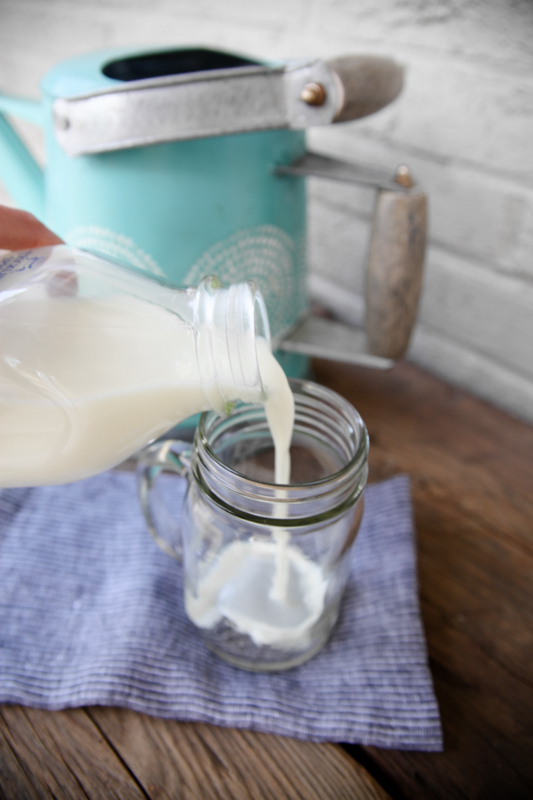 It’s no secret that in our house we are organic milk drinkers, and the National Milk Life Campaign has asked me to talk a little about why drinking organic milk is important to me. Especially after visiting an organic dairy farm last month, I am glad to be an organic milk supporter. I grew up drinking skim milk, mostly in cereal and milkshakes. Upon discovering the deliciousness and benefits of 2% and whole milk, I started using milk more, like in smoothies and oatmeal. I’ll have my fat and drink it too thankyouverymuch! When I set out to buy my own groceries during college, I experimented with all different kinds of milks. From a vanilla hemp milk to unsweetened almond milk to soy milks and then back to organic, local cow’s milk, which I feel is the best milk for our family in terms of taste and nutrition. As I learned more about nutrition and the food industry, I realized that I wanted to vote with my dollars and put them into the organic industry. Organic farms follow strict standards set by the government by the USDA. This means organic farms cannot use synthetic fertilizers or pesticides, growth hormones or antibiotics or GMO crops to feed their cows. Organic milk is more expensive than conventional milk but in family-sized quantities it’s not a bank breaker. The more those who can afford organic milk buy it, the more supply and demand comes into play and the more accessible it will be to all. We have to support the small family farms who are producing organic milk so more of them produce it. 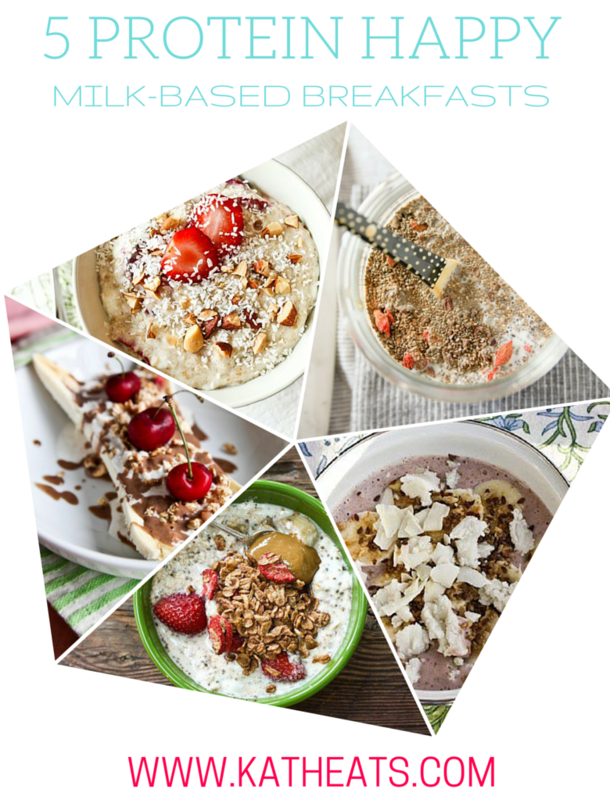 Here are my top 5 favorite breakfasts, all of which rely on milk for great protein and flavor! I love this, great post! There is such an obsession with almond milk lately that it’s kind of driving me nuts. When I was dairy free, I preferred whole, canned coconut milk in smoothies, etc because it actually has nutritive value. Plus there are so many additives in these alternative milks. The grass-fed organic cow’s milk, cream, and butter that I currently I buy from the Amish is the best. It tastes great and I’m glad to support them. Hopeful that someday soon I’ll be raising cows of my own. So happy that you don’t fear the fat and are supportive of local farmers! Both of my nieces at around ages 5 and 7 began having terrible body odor, way too young for puberty related changes. My sister did some research and decided to try switching from regular to organic milk. The result was immediate and amazing, no more body odor. We both feel that the absence of growth hormones and antibiotics is responsible for this change and have never looked back. We will forever be an organic milk family! The same thing happened with a coworker and his son with body odor! They switched to organic milk and the smell went away! Organic milk puts a huge strain on the environment! It takes up to 80% more land to produce the same amount of conventional cow’s milk. And that doesn’t even consider the resources needed to feed the cow’s used for milk production. Their feed has to be grown, and that takes a tremendous amount of water. The best thing we can do for the environment is to stop drinking cow’s milk all together and switch to plant-based sources. I drink soy milk most of the time, and it has 8 grams of protein per serving–the same amount as cow’s milk. Skip the middle animal and get your nutrition from plants! But aren’t soy farms in this country a whole other debate? Organic or not, raising cattle is one of the largest contributors to global warming. Not to mention that the cows are artificially inseminated on a continual basis to keep them pregnant and lactating only to have their babies taken from them. Can you imagine what that must feel like? We have been duped into believing that milk is the best option for our children because our country makes so much money off of the industry. I think plant-based milks are a much better option. 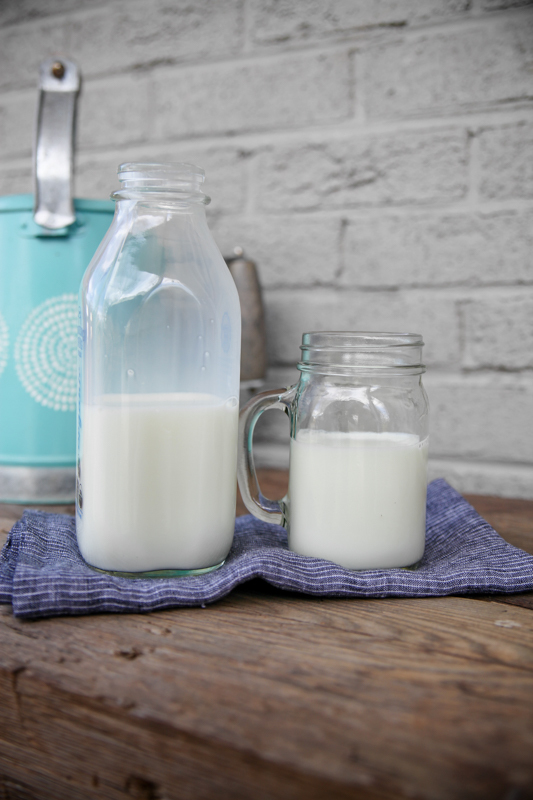 If there’s controversy with soy then there’s plenty of delicious nut milks to choose from! I agree, organic farming is way better for the environment. Talking about insemination did you know almond farms have to have honey bees shipped in to pollinate their trees. And, honey bee farmers are now dwindling because of mass markets from overseas! Netflix documentary ROTTEN – episode Lawyers, Guns & Honey. Without bees we have nothing. So how do you feel about buying the milk of the bigger organic operations? It seems like most grocery stores now carry Horizon and/or Organic Valley, etc, where they might not carry a local farm’s milk. If they carry both, do you think we should be buying the smaller company’s products, or does it really matter? Curious on your opinion! I can’t speak for Horizon, but since i’ve been to an Organic Valley farm I can say that you are buying a smaller farm’s milk when you’re buying OV. They are a co-op of owners, so small farms have the connections and support of other owners which makes the whole process easier. That said, if you do have a local grass-fed milk farm in your area, buy that! Ah, interesting! Here’s another question for you that I’ve always wondered (I feel like you would know this) why does organic milk have SUCH a far out expiration date as opposed to conventional milk? I’d think the more “processed” milk would last longer. What’s that all about? agree that 2% and whole milk tastes best! but do you have any concerns about the saturated fat content of whole? thanks for sharing. it does highlight some positive studies but it also recognized the need for more research. and while I totally get where she was coming from – the mom’s comment about not being too worried about whole milk because her kids are thin and active is a little off-base, as we know those factors aren’t always indicative of overall health and certainly not as children become adults. the story also highlighted that the academy of pediatrics still recommends low fat milk for kids over two. the dietary guidelines support low fat dairy for adults as well. 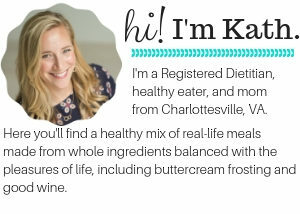 not trying to be difficult (and certainly science changes and when we know better, we do better) – but just recognizing that a lot of folks come here for nutrition advice and at this time nutrition science still supports low fat dairy. That’s not to say you should go gorge yourself on butter and cream, but putting whole milk in your oatmeal or cereal is likely to taste better and provide longer satiety than skin. I think 2% meets the best of both worlds. So cool that you to go to a dairy! I thought the price of organic milk is so high because demand is greater than supply? I love it but it’s so expensive! 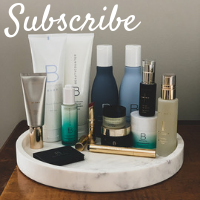 Does your store give you a discount for buying more? I need to get it on that, LOL! I’m confused. On this post, you say that you are an organic milk drinker, but you just had a debate during a post on frothing, where you state that you buy local, not organic. I know you make a living off of your blog, and that’s great, but it would be great as well to be consistent and honest with your readers. I buy Homestead Creamery, Trickling Springs and Organic Valley depending on where I am and what’s in stock. I had been on a Homestead kick because it’s local to Virginia and the cows are pasture-fed. It’s technically not organic, but it’s organic-like in its practices. Can you explain what you mean by ‘organic-like’? I prefer to buy local too, and would like to hear your reasoning!! Becoming organic certified can be very expensive for farmers. At the farmers market I go to, I know a lot of farmers use “organic practices” while not being certified. I feel good buying from them! I’m big on using organic milk also! I don’t drink dairy, personally, but I do use it to cook occasionally, and I always go organic! My family only drinks organic milk as well, and I always notice a big taste difference when I go to my parents house (haven’t convinced them to switch yet!). Happy to have read your recent posts about the dairy industry. Your visit to the OV farm looked so fun! One question, didn’t you recently mention a few weeks ago that you only drank local milk even though it wasn’t organic? This was the post about frothing, I believe. Which is a better recommendation for your readers? A well-sourced, local milk or organic? I am always debating between the two myself!! Thanks!! I think local always trumps organic if you know the practices are sound, which they are at Homestead. I buy Organic Valley if I’m traveling. Love the post supporting dairy (even if organic milk isn’t my thing). 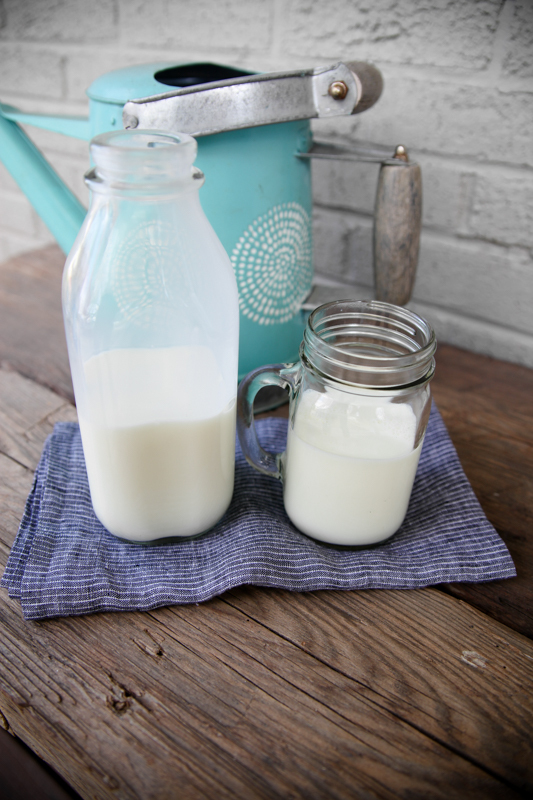 Good ol fashioned raw non-organic milk has done right by my family for over 160 years. It’s a difficult transition to organic for a small family dairy farm. BTW you can’t milk an almond or a soy bean. It’s almond juice. The dairy industry should sue for trademark infringement. It’s called almond or soy “milk” because it’s used like cows milk, not because anyone thinks a nut is being milked. In the same way people make mushroom steaks which are obviously not beef steaks. For those of us with serious allergies, nut milks are lifesavers. I grew up eating dry cereal and carefully examining nutritional labels because of my life threatening allergy to cow’s milk. I couldn’t drink soy milk because I’m allergic to soy as well. 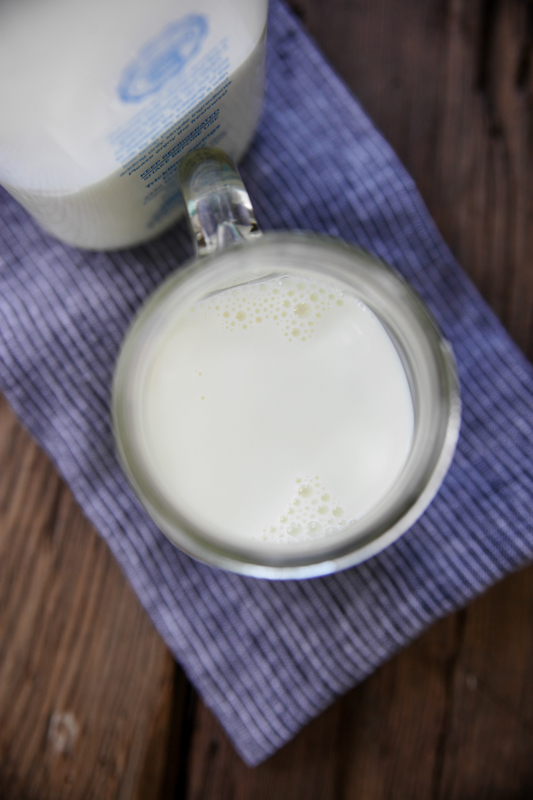 When rice, almond, and hemp milk became more readily available, it changed my life. I’m happy your family has been thriving for 160+ years. Don’t you agree that other families should experience that same happiness with foods that keep them healthy, even if you don’t consume them yourself? So this is something I’ve done a lot of research on and ultimately decided that organic milk is not worth the extra cost. The way I understand it each batch of milk is tested for antibiotics and if any antibiotics are detected the milk is disposed of. Yes, cows can be treated with antibiotics for an illness such as mastitis. However, once an antibiotic is administered that cow is taken out of circulation and milked separately for a specified amount of time. And again, if any level of antibiotic is detected in a batch of milk it is thrown away….so I don’t see farmers chancing that. Also, if I buy a conventional brand of milk that procures milk from farmers who do not use growth hormones then why would it matter? How do you feel about the fact that the cows are artificially inseminated to keep them pregnant, which often leads to mastitis and other painful conditions? I don’t feel comfortable about using and abusing a female’s reproductive system just because it’s possible/profitable to do so and humans like the taste. We can get calcium and protein from plants and plant-based beverages, and no animals have to be exploited (not to mention the carbon footprint is much lower)! Curious to know your thoughts on this. Thanks for spurring this conversation, I’ve always found it fascinating and I look forward to reading other comments and learning! You’re missing a few important benefits: nutrition and hunger. I don’t think the dairy industry exists solely for profit. I’ve been to a dairy farm now and can tell you from a 100% honest perspective that the cows there were cared for. The farmer also mentioned he does everything he can to prevent mastitis and keep his cows healthy – because it benefits both him and the cow. I think your comments are definitely fair directed at the conventional dairy industry, but from what I’ve seen organic farms have the cow’s best interest. I want to go organic even raw, but our family goes through 5-6 gallons of milk per week and Organic Valley and Raw Milk is $9. Way more than we can afford a week???? Cows in a wild setting (think, water buffalo, buffalo, etc) would normally have a calf once a year (which is how often dairy cows have calves). Artificial insemination is done because you can use superior genetics and not have to keep an aggressive and dangerous bull on the farm. It’s not abusing the reproductive system. Cows come into heat, and are bred via artificial insemination. Do you feel bad for deer living in the wild who give birth once a year? And I would argue about the carbon footprint being lower. Plant production has negative environmental effects as well. Do you know how much water is used in almond production (most of it in CA, which is drought stricken)? 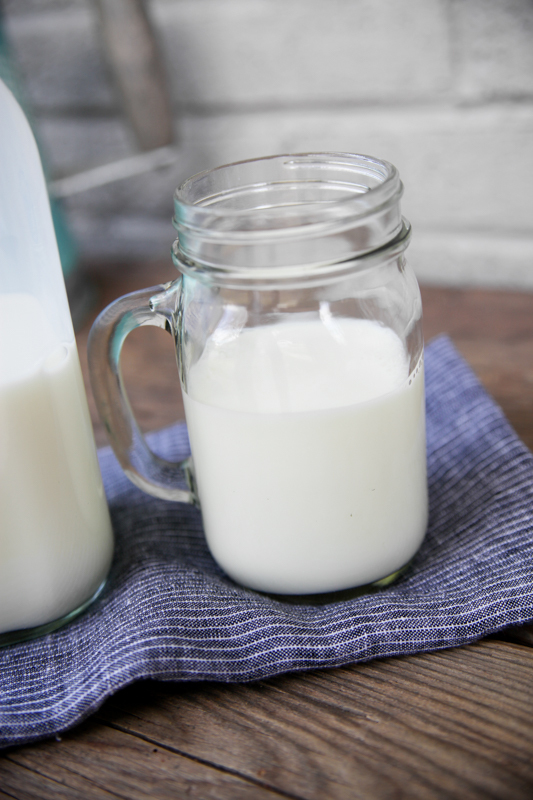 Cow milk has more calcium and protein that almond milk (that often has to have things added to it). Excess soy may be harmful to people. They all have their issues. Please explain to me how a tree that produces nuts, and consequently oxygen, is more harmful to the environment than a cow whose feces continually emits methane which is one of the largest causes of the depletion of the ozone??? I’m sorry but that statement is just plain ignorant. And even if these animals did have that many babies in the wild, they’re not being forcibly taken from them as they are on farms. As human beings, we are the superior species and it is up to us to do things the right way and show them the same kindness we would want for ourselves. I have worked on both conventional and organic dairy farms. I worked on a larger scale conventional farm, a small (very small by today’s standards) pasture based conventional farm, and a large scale corporate dairy farm (the name was mentioned in a previous comment above). I can tell you with 100% certainty that there is no antibiotic residue in conventional milk. Like someone said above, EVERY tank of milk is tested to be sure of that. If a tank is tested and shows traces of antibiotic residues, the farmer is responsible for the entire tanker truck full of milk. NO farmer wants that…that’s a huge loss. The cows on these farms were treated very well, both at the conventional farms and organic farms. There’s a misconception that organic farms are small operations, where the cows are out on pasture all the time, or that somehow the cows are treated better. That’s not the case. The care of the cows is pretty standard across all operations. All farmers treat their cows well, because if the cows aren’t treated well, they don’t make milk. If cows don’t make milk, the farmer doesn’t earn a living. On the conventional farms, if antibiotics were needed to treat an illness, the cow’s milk was dumped for the required amount of time (known as “withdrawal” time) for the particular med used. On the organic farm, we would try ALL organic approved treatment methods if there was an illness. If the animal didn’t respond to those methods, we would treat with antibiotics (kept under lock and key) and that animal would leave the farm on the very next truck out of there. No animals treated with antibiotics were allowed to stay on the farm. I buy conventional milk. Why? Because after working on both conventional and organic farms, I see no difference in milk. No milk sold in stores has antibiotic residues. ALL milk (yes, ALL) contains hormones. ALL milk contains hormones. It is NATURAL in the milk. Some farms use synthetic hormones (rBST) to try to improve milk production, BUT, most farms are moving away from this or don’t use it anymore at all. Most milk is labeled so you know whether or not that brand uses rBST. I’m personally against the use of rBST, but all the conventional milk I buy is from farms that do not use rBST. I do support organic farms, and I don’t think there’s anything wrong with organic milk, but I don’t think there’s anything wrong with conventional milk either. For me and my family, conventional milk is great. If organic milk is great for you and your family, that’s great too. I just don’t like to see misconceptions about conventional dairies. My daughter is lactose intolerant and organic lactose-free cows milk isn’t available here in Canada. There is conventional lactose-free milk, and of course plant based milks. If you were in my situation what do you think you’d choose? I just read your post from today. You will be in my prayers Kath! Our family loves organic milk! Curious about the fact that is always seems to have a later “sell by date” than conventional milk… but I’m guessing that once you open it is has a certain window? I feel like our milk turns sour before the sell by date. I would love to visit an organic dairy farm but they are all too far for me! Thanks for sharing your experience. From my childhood I always love skimmed milk and my babies love it too. Hope you will further share your more experience with us.